The Federal Government views you the same way the colonists were viewed by the British Empire - as a source of revenue, and as a collection of people that needs to be placed under control; otherwise, you might become a risk to their power. The Federal Government views you the same way the Soviet Union viewed their people - as a collective mass that must be made to follow the wisdom of the ruling elite, and convinced to do so through government coercion. The Federal Government views you the same way the Nazis viewed their people - full of imperfections that must be cast aside through genocide so that the race may be made more perfect. Germany did it with gas chambers. America does it with abortion. The Federal Government views you the same way all authoritarian systems viewed an informed populace - as a danger to their power. The Second Amendment was given to us to ensure the government remains afraid of the people, and to stop tyranny when it rises. Hard Left Current TV followed MSNBC's lead, letting go Keith Olbermann after less than a year. Olbermann's replacement is Client #9, none other than former New York Governor caught with the call girls, Eliot Spitzer. In other words, they got rid of a media whore and replaced him with a John. Wow, I know that Olbermann is a real piece of work, and one of my least favorite knuckleheads out there, but man, you have got to be pretty bad to get two hard left liberal gigs to get rid of you. Maybe Keith should follow his true calling and become a telemarketer. No, wait, he is even more annoying than them. Semantics is the use language to manipulate the meanings of words in order to achieve a desired effect on an audience. For example when an angry liberal emails me and says, “someone should put a bullet in your head,” I ask if that said liberal thinks that it would be good if someone killed me and then said liberal emails me back crying about how he, “never said that!” Well, this is semantics. Yes, it is indeed true that said angry liberal never uttered the exact words, “I wish someone would kill you,” but what else does someone putting a “bullet in my head” imply? Still, to the liberal mindset, this liberal has never said anything as inflammatory as wishing me dead. This is precisely why it is so hard to argue with a liberal. No matter what they say, there is always some semantic argument that they will make that allows them to claim that they never really said what they said. It is like nailing Jell-o to the proverbial tree. The examples of these semantic games played by liberals are numerous. Abortion is not “murder” because even though an innocent child is being killed in cold blood, they have come up with another name to call it. Formally declared wars are not “formally” declared wars because liberals do not like the verbiage that was used to initiate the use of military force (i.e. war). According to liberals, certain groups of people are not people (i.e. corporations) and said people are not entitled to their first amendment rights because liberals refuse to call them people. But on the other hand, labor unions, groups of people, had better be allowed their first amendment rights and then some or else holy Hell will break loose. Conservatives are “NAZIs” because, even though Nazism stands for National Socialism and was practiced by the National Socialist German Workers' Party, the word “socialism” is not uttered when saying the words “NAZI”. Therefore NAZI magically comes to mean "conservative" rather than left-wing, socialist, progressive moonbat. When this is brought up and they can no longer hide ignorantly behind the “general Welfare” clause, their “tax” magically becomes not a “tax” but rather a “fee”. They think that this change of name gets around the fact that the "fee"/"tax" is not Constitutional. Of course, their “fee” is still a “tax”. Why? Well, we just need to look at the definition of terms. Yeah, see what I mean about semantics? Both are “charges”. The only difference is that a “tax” is a “fee” levied by an “authority” such as, oh, say the government? That means that a “tax” is a government imposed “fee”. So "fee" or not, it is a distinction without a difference once again for liberals. Thus it will go on like this until the end of time. Or, at least, until the world is devoid of liberals. And that will not happen any time soon. There will always be those in the world who are not half as smart as they think themselves to be. On top of that, there will always be useful idiots who will follow them and wallow in ignorance hoping that this time, just maybe, the stupidity that their leaders speak will magically become truth. So these pathetic, sophomoric, semantic games will go on. Constitution Radio. . . Reaching Out To The College Students? 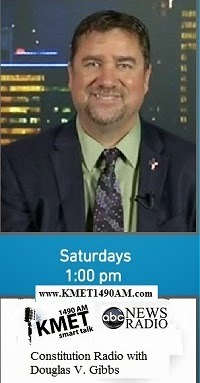 CALL IN NUMBER 888-909-1050, Radio Program begins at 2:00 pm Pacific on KCAA 1050 AM, or at KCAAradio.com. At the end of last week's show JASmius and I promised to discuss story number one on today's program regarding Trayvon Martin, and the racism being perpetuated by the liberal left with this story. . . But first, we will be joined by guest Henry Olsen and how he and the American Enterprise Institute (AEI) are reaching out to young conservatives in a new book titled: "Values & Capitalism." The 8-book collection was written by eleven top conservative scholars and created with the goal of providing a toolkit for young conservatives on the major issues going into November. Then Prying1Books and Constitution Quest will bring us the question of the day, along with Prying1Books' Book of the Week. Constitution Corner will discuss the limitation of presidential powers. Nuts and Nuggets were carried over from last week since we didn't get to them. . .
Nut: Most universities will have to cover birth control in their students’ health plans, the Obama administration said two Fridays ago. The Center for Biological Diversity, which claims 220,000 members, has sent a petition to the Environmental Protection Agency on behalf of nearly 100 groups in 35 states asking the agency to regulate lead right out of ammunition. It's the second time the group has attempted to get the EPA to take up the cause, and the group is currently suing the federal agency for rejecting the previous bid. The Center for Biological Diversity has sent a petition to the EPA asking for stricter regulations on the use of lead for hunting ammunition, claiming that the spent casings are a toxic hazard for wildlife. Hunting groups scoff at the Center's claims that lead left in the carcasses of animals they shoot but don't collect harms the food chain and that spent casings can contaminate groundwater. They say the group has long sought to curb their rights to hunt and own firearms. The environmental group claims the EPA has jurisdiction over bullets through the 1976 Toxic Substances Control Act. But an EPA spokesman told FoxNews.com the agency denied the previous petition because the agency does not share the opinion it has legal authority over bullets and shotgun pellets. Officials at the Center for Biological Diversity, a 501(c)3 organization that took in just under $8 million in 2010, declined to comment to FoxNews.com. But earlier this week, spokesman Jeff Miller released a statement outlining the group's case. “The unnecessary poisoning of eagles, condors and other wildlife is a national tragedy that the EPA can easily put an end to," Miller said. "There are safe, available alternatives to lead ammo for all hunting and shooting sports, so there’s no reason for this poisoning to go on. “This isn’t about hunting — it’s about switching to nontoxic materials to stop preventable lead poisoning,” Miller said. Keane disputed the claim that lead bullets are a threat to anything other than what they are fired at. Progressive Monetary Policy: Hate the Rich Mentality Leads To Downplaying Lottery? The liberal left acts like they hate the wealthy, so they play this game where their goal is to tax the rich, punish the rich, and get you to vote for them because those liberal politicians are willing to side with you in your hatred of those awful rich people. This idea of soaking the rich is nothing new, and born from the desire to create a socialistic system where there is actually only two classes: the ruling class, and the peasant class. Alexander Hamilton used similar arguments to create his national banking system, of which the federal reserve was modeled after. His crusade for a national bank, as in the case of the progressives when the federal reserve was created, was actually covering for something even bigger. The idea was one of collectivism. The economic planners believed they could somehow work around the laws of supply and demand, enact price controls, expand the monetary policy with greater controls in place, use protectionism to force businesses to act as they dictated, use high taxes, and so forth. In Hamilton's day it was all facets of mercantilism. Today, such an economic system is called socialism. During the early twentieth century when the Progressive Era had really begun to roll, the drive to create the federal reserve was accompanied by the 16th Amendment, which gives us our Income Tax, and the IRS. The idea to get the people's support was not to sell them on what was really being done, which was a greater centralized control over the money supply, but to herd the people into a socialist corral through a campaign of class envy and class warfare. If only they could get people to quit dreaming of becoming successful, and instead hate the wealthy, and demand that the government "soak the rich" with taxes. The Income Tax, after being shot down by the courts in the late 1800s as unconstitutional, rose up again in the form of the Bailey Bill. The idea, however, was not to actually create an income tax that used progressive schemes to "tax the rich," but to make the people think that the conservative republicans were against such a tax in order for the democrats to gain political leverage in the upcoming election. In reality, such a tax was needed to fund the new monetary policy that was being created through the Federal Reserve Act, and the progressives figured once they gained control of both Houses and the presidency, they could put such a policy in place. The republicans saw what the democrats were doing, and dared not even go near the Bailey Bill. They knew that the democrat strategy, when the republicans voted against the bill, was to say, "See how those republicans are in the pockets of big business and the rich? They won't even try to make those wealthy folks pay their fair share in taxes!" Instead, the republicans pushed for an amendment to the Constitution to create an income tax. The conservatives were fully convinced that once the proposal got to the States it would be rejected during the ratification process. Then, the republicans could reject the Bailey Bill using the argument that they were just doing what the States want, as confirmed by their rejection of the proposed income tax amendment. The democrats and the progressive republicans, however, pulled a fast one on the conservatives, and claimed the 16th Amendment was ratified, the Secretary of State signed off on it, and the income tax became law. . . even though a full three-quarters of the States did not actually ratify the amendment. With the new income tax against the rich, which later under progressive democrat Franklin Delano Roosevelt during the Great Depression became a payroll tax on everybody, the new central bank called the Federal Reserve went into high gear. The intellectuals and business elite were actually united in favor of a central bank, partly because the progressive politicians were promising them to be a part of America's coming "imperial glory." This seemed very possible after the United States acquired the colonies in the Philippines, Cuba, and Puerto Rico. Publications like Essays in Colonial Finance advocated opening up new markets around the world, using military force if necessary. The progressive policy of protectionism had led to the overproduction of goods by domestic manufacturers, and they needed a way to dump their excess products. A central bank, with the assistance of an income tax, could help these big businesses by supporting the costs of getting those products off their hands. After the recession of 1907 the academics had been calling for a central bank so that the government could create a monetary monopoly. These American intellectuals hailed the superiority of European central banking systems over the American system. More importantly, for these statists, the creation of the federal reserve and the income tax, combined with the spirit of empire and the call to "soak the rich," became an ultimate victory for the societal engineers because the moves, combined with the 17th Amendment, also ultimately led the nation in a direction of abolishing States' Rights altogether. After all, the two main forces in the way of fundamentally changing this nation into a progressive society was the voice of the States, and the people's opinion. The people could be taught to embrace slavery through progressive policies, but the States needed to be eliminated from the picture if socialism was going to have a chance in America. The immediate results of these progressive monetary policies were disastrous. The new funding mechanisms enabled Woodrow Wilson to plunge the United States into the European war, a war that Wilson had promised to keep us out of when campaigning, which in the end provided, at the cost of blood and finances, no benefits other than chest beating and avenues to gain more control by the administration upon victory. By the end of the war countless lives had been lost, and the nation was teetering on the edge of a great recession. Presidents Harding and Coolidge, conservative republicans, reduced taxes across the board, reduced spending, and eliminated the regulations placed upon businesses that refused to play ball with Wilson's progressivism. What resulted was the Roaring 20s, one of the most prosperous decades in American history. Behind the scenes, however, through the federal reserve, the progressives were at work, and by the end of the decade the federal reserve's monetary expansion led to a boom-bust cycle that enabled, as the economy boomed, too much cheap credit that made too many businesses overcapitalized. More production capacity than is warranted by consumer demand was created, and the only way out was through a liquidation of some of that capital. . . which, combined with President Hoover's increase of taxes, increase of spending, and implementation of heavy regulations and excessive public works projects, ignited the stock market crash and the Great Depression. During the hundred-plus years after the Constitution's ratification to the creation of these progressive policies the consumer price level in the United States remained fairly stable. We were told the purpose of the federal reserve and progressivism was to ensure price stability, yet the mercantilistic dance between some big corporations and the federal government has done nothing but cause cycles that have led us through a Great Depression, and a large number of severe recessions. Business-government partnerships where some corporations will receive funding from the government, while others do not, is a system of favoritism for companies that play ball with the government. Such policies allows the federal government to control the private sector in a manner very similar to Mussolini's fascism in Italy prior to World War II. Masks are used to fool the people, to make them think these actions by the government are necessary to save us from economic collapse, and that "all" corporations are greedy and dangerous. The more recent actions of mercantilism by the federal government have been labeled bail-outs, and loans; the latest examples being the billions of dollars pumped into green technology with the intention of creating full government control over energy while eliminating an industry that the government sees as an obstacle. . . oil. Another mask used is the claim that the government is in the people's corner. They claim they are just trying to make sure those rich and powerful pay their fair share. The liberal media, and left-leaning academia, have joined the party, promoting class envy between the average citizen and the wealthy. The "ruling elite," however, are lying, because they truly don't think that all of the wealthy should "pay their fair share." Only the ones that don't buy into the federal government's policies. The federal government is simply positioning itself to gain control over the wealth of this nation by pulling in closer those that play ball, while eliminating those that don't. The "hate the rich" ruse is in line with the Marxist battle of the proletariat and the bourgeois. The populace is being taught that the wealthy is the enemy, and you want no part of it. Dependence upon government is much more important, because of the "equity" it creates. That said, even aspiring to be rich through lotteries are now being downplayed by the media. "You don't want to win the lottery," they tell us. "With all those riches comes headaches and problems." Besides, the liberal media seems to be telling us, we are too stupid to be able to handle such wealth. We are gamblers, and undisciplined children unable to manage our affairs properly without the government intervening. You don't want to be rich, be it by success in the business world, or through the lottery. You just leave all those headaches to the elite, who know how to handle such responsibilities. And while the government is at it, they will control all of the money, tell you how to eat, tell you what activities to participate in, and all of that jazz - after all, once Obamacare is in place, you won't have a choice in the matter. Then, we will be one big happy collective homogeneous mass controlled by a ruling elite that presumes to know what is best for us, even if they are exempt from their own rules. Of course, whoever refuses to obey the ruling elite's wisdom will, in that instance, be restrained by the body politic, and be made to comply - all the while the progressives call their opposition the harbingers of authoritarianism. In my Constitution Classes I teach that we have four tools on our tool belt for taking back America. Those tools were provided by the Founding Fathers through the instruction booklet for taking back this nation, the United States Constitution. As we enter Constitution crisis after Constitution crisis with this very dangerous Obama administration, it can be easy to lose sight of the truth. I am an optimist, and it is never too late to turn around a system like ours. . . if we are willing to do what it takes to get it back. It won't be easy, and it won't be quick, but it can be done. Like I tell my students regularly, the way to eat an elephant is one bite at a time. Education is the key, for how can we use the tools given to us if we don't even realize they exist? Then, when educated, the populace can work to create what needs to be done to take back this nation. Eventually, it all comes to a tipping point, and the cockroaches in Washington have no choice but to listen, and once again become obedient to the Constitution, and servants to the people and the States. Article VI, Clause 2, of the United States Constitution states that all laws of the United States made in pursuance of the U.S. Constitution, and all treaties made and ratified by the United States Senate, are the supreme law of the land. All other federal laws are not the supreme law of the land. Therefore, any law made by the federal government that is not in line with the authorities granted to the federal government by the States through the Constitution are unconstitutional, and are then not legally binding. The Constitution is a contract between the States and the federal government, and the States DO NOT have to obey unconstitutional laws for they are a breach of that contract. In other words, not all federal laws trump all State laws as we have been taught, only those laws passed by Congress under the authority of the U.S. Constitution are supreme. We are told that it is up to the Supreme Court to determine what laws are constitutional, but that is hardly in line with the limiting principles offered by the U.S. Constitution. That power the courts claim to have is called Judicial Review, and it is addressed nowhere in the Constitution. In fact, the federal courts seized that power for themselves through an opinion written by Justice John Marshall in the Marbury v. Madison case of 1803. Yes, that's right, the courts gave that power to themselves. By deciding if laws are constitutional, and since the Supreme Court is a part of the federal government, what is happening is that the federal government is deciding for itself what its own Constitutional authorities are. That, my friends, is hardly in line with the original intent of the Founding Fathers. 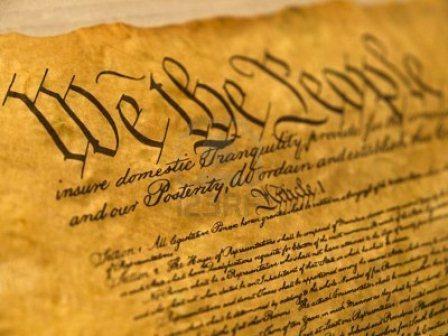 The final arbiters of the U.S. Constitution are the people through their States. 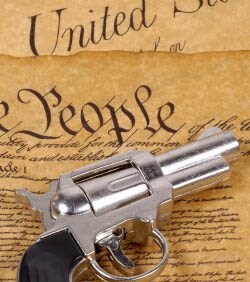 Therefore, if a State believes a federal law to be unconstitutional, that State has the authority to nullify that law by ignoring it, refusing to implement it, passing legislation disallowing that law to exist in the State, or whatever other means they feel necessary to reject that unconstitutional federal law. A fantastic explanation of the power of nullification by the States was penned by Thomas Jefferson in his draft of the Kentucky Resolution. I am not a big fan of Alexander Hamilton. The guy was a monarchist, statist, mercantilist, and today would fit in well with the far left socialist extremists now in charge of the democrat party. However, despite all of his shortcomings, Hamilton wrote a brilliant essay on the importance of the Article V. Convention in Federalist Paper Number 85. He wished to make the Anti-Federalists realize that despite their fears regarding the creation of a centralized federal government through the U.S. Constitution, they had a fail-safe in place that they could use in case the government began to overstep the powers granted to it by the States. The only way to change the Constitution is through an amendment process. Usually, we only see amendments proposed by the United States Congress. However, according to Article V. of the U.S. Constitution, the States can propose amendments as well. In fact, the first ten amendments, also known as the Bill of Rights, were all proposed by the States, not Congress. Originally, during the debates in the Constitutional Convention in 1787, the founders were only going to allow the States to propose amendments. They did not believe that allowing the Congress to propose amendments was a good idea. However, after a number of delegates argued in favor of also allowing the Congress to propose amendments, on the second to the last day of the convention, September 15, 1787, the Founding Fathers decided to allow the Congress to propose amendments as well. Originally, it was their intent to only allow the States through convention to propose amendments, but the Founding Fathers, at the last moment, decided to give Congress the ability to propose amendments as well. An Article V. Convention, according to the Constitution, shall be called when two thirds of the States make an application for a convention. At last count 49 of the 50 States have applied, with over 750 applications. The only involvement by the federal government is for Congress to "call" a convention when enough applications have been made. To "call" a convention is to set up the place and time. To date, Congress has unconstitutionally refused to call a convention. Think about it. The federal government is scared to death of a convention, because the States would be proposing and ratifying amendments without federal control. This means that amendments could be passed to further limit the authorities of the federal government, or clarify constitutional applications the federal government has been misinterpreting, such as the Commerce Clause and the General Welfare Clause. Passing amendments to further limit parts of the federal government is nothing new, either. The 11th Amendment, for example, was proposed and ratified with the express purpose of further limiting the federal courts. A peaceful revolution can be achieved by the people voting, peaceably assembling (i.e. The TEA Party), and making all kinds of noise in the hopes of bringing the whole situation to a tipping point where Washington has no choice but to listen. A peaceful revolution is waged when the people refuse to be complacent, become informed and educated, and use their talents to begin the process of taking back this country. 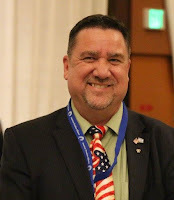 These opportunities may include becoming a member of the central committee of your local political party, writing emails or phone calling your representatives, passing out flyers, attending (or teaching in my case) Constitution Classes, becoming members of local groups like the Republican Assembly, or TEA Party. A peaceful revolution can have an impact. 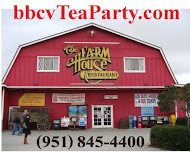 It is my belief that the landslide win for conservatives in the 2010 mid-term election was directly influenced by the emergence of the TEA Party, and people getting involved. The American Revolution began in the meeting halls, churches, and pubs of the American Colonies. The intent was not for it all to come to bloodshed. But when you are dealing with tyrannies, sometimes there is no choice. The first shots of the American Revolution were fired at Lexington Green. The British were on their way to seize our largest stash of firearms and ammunition at Concord, Massachusetts. In other words, hostilities broke out when the British came for our guns, which is an incredible clue as to why the founders included the right to keep and bear arms in the Bill of Rights. The plan was for the revolution against the British to be peaceful. The object was to negotiate, and use methods available for a non-violent revolution. But when push came to shove, and when the British crossed the line, the American Revolution became a bloody one. When the Founding Fathers labored over the creation of the Constitution, the most inspirational motivator was the tyranny of the British Empire. Based on their history under the thumb of the monarchy, the founders knew exactly what their new system needed not to be. However, they also realized they were creating a central government, a style of system from which all tyrannies have risen. In fact, Thomas Jefferson believed that the dangers of a central government coupled with the complacency of an uninformed population would mean that a new revolution may be necessary every twenty years. That said, the Constitution was designed to stand the test of time if we, as a people, follow its wisdom, and the government acts within the limitations granted to it. However, should we decide not to follow the law of the land, preferring to seek out instead policies in opposition to the Constitution, our very freedom could become nothing more than a distant whisper, and this nation of liberty will become nothing more than a footnote in history. The current political leaders have discarded their willingness to follow the Constitution, instead depending on case law and interpretations designed to follow their statist aspirations. In other words, they have abandoned the Rule of Law and now pursue the Rule of Man. Those that argue in favor of big government, and unconstitutional programs like the Health Care Law, claim that the good intentions of the policies outweigh the legal authority of the U.S. Constitution. I educate people on the Constitution because I believe that learning how to take back this country is very important. But if we fail in our task, the only way in the end to stop tyranny will be revolution. Natural gas also provides essential backup power for wind turbines. Without such backup, electricity generation from these projects would plummet to zero 70-80 percent of the time, affecting assembly lines, computers, televisions, air conditioners and other electrical equipment dozens of times every day. Similarly, fracking fluids fail to match the “toxic” and “cancerous” opprobrium alleged by anti-drilling campaigns. Over 99.5 percent of the fluids is water and sand. The other 0.5 percent is chemicals to keep sand particles suspended in the liquid, fight bacterial growth and improve gas production. How DARE He Not Lie Back & Enjoy It! Democrats are lashing out at conservative Supreme Court Justice Antonin Scalia for alleged bias during the Obamacare hearing, even though the court's four liberal justices were generally seen as more effective in pushing for the law than the Obama administration's own attorney. [Retiring Nebraska Democrat Senator Ben] Nelson, who is not standing for reelection in November, said Scalia seemed not to know that the so-called Cornhusker Kickback was stripped from the bill before it went into effect. "I am concerned that Justice Scalia's comments call into question his impartiality and instead suggest judicial activism," he told The Hill. Nelson was joined by other senior Democrats. Vermont Senator. Patrick Leahy, the Democratic chairman of the Senate Judiciary Committee, said Scalia's comments were typical for him. "That's the way he always is. This after all is the man who helped push through Bush v. Gore, which every historian is going to say was a crazy thing." And Senator Dianne Feinstein of California called Scalia's comments "flip and specious." "Flip and specious," Senator? I'd say those adjectives apply a lot more to Leaky's take on Bush v. Gore than anything Justice Scalia has ever said. It is reflective of the triumphalist mindset that holds the Left in an intellectual vice grip to this day. Libs are blindly and unalterably convinced of both the efficacy of their discredited, disreputable religion of statism and of their own unchallengable moral supremacy that entitles them to force it on everybody else "for their own good". Socialized medicine - socialized anything - ALWAYS fails, NEVER delivers on all its utopianist pie-in-the-sky promises, ALWAYS produces the precise opposite results, and consequently MUST be corrupt and coercive and dishonest. It is axiomatic; it is the repeated lesson of history. And the biggest suckers of all are leftists themselves. Barack Obama didn't get elected to nationalize the U.S. health care sector. He never ran on nationalizing the U.S. health care sector. The American people did not and never did seek the nationalization of the U.S. health care sector. We told him not to; we begged him not to; yet he and his merry band of authoritarians did it anyway. It generated a grassroots movement that annihilated the Democrat House majority and crippled its Senate counterpart. Two years later it's still massively unpopular and seen as a blatantly unconstitutional power grab even by a (bare) majority of Democrats. Not that they care, of course; and the ones that don't see it as unconstitutional simply redefine that term to mean "advances the hard-left agenda". Yet to this very week lefties were utterly convinced that the SCOTUS would uphold ObamaCare in its entirety without having to give it even a sidelong glance. Rubber stamp city. Including Justice Scalia. This is a bubble of extential cloture that not even a "rod from God" could penetrate - but which Olympus' constitutionalists finally did. And Democrats are alternately panicked and outraged by it. Short of the High Court burying this execrable monument to unAmerican tyranny so deep the worms can't find it, that'll be the best medicine of all. We're going to be "gifted" with a health care plan we are forced to purchase and fined if we don't, which purportedly covers at least ten million more people (most of which chose not to have health insurance for various reasons), without adding a single new doctor, but provides for 16,000 new IRS agents, written by a committee whose chairman says he doesn't understand it, passed by a Congress that didn't read it but exempted themselves from it, and signed by a President who smokes and sneaks junk food under the nose of his nutty "we must force everyone to eat good" wife, with funding administered by a treasury chief who didn't pay his taxes, for which we'll be taxed for four years before any benefits take effect, by a government which has already bankrupted Social Security and Medicare, all to be overseen by a surgeon general who is obese, and financed by a country that's broke!!!!! Dr. Sheldon Cooper is a character on a CBS sitcom titled "The Big Bang Theory." He is always the smartest guy in the room, but he is also the most extreme example of obsessive and compulsive there is. As the smartest guy, of which he takes great pride in, he is always trying to figure out the great riddles of science, and then reveal to everyone that it was his great mind that found the answer. His biggest hurdle on the program, aside from tolerating the small minds of those around him and determining if Star Trek or Star Wars is the better franchise, has been trying to prove the particle physics concept that could explain the possible existence of multiple dimensions called "string theory." On one episode a brilliant young man comes to the university to possibly stay, and Sheldon can't stand it. The kid's achievements mirror Sheldon's, and even surpass the brilliant doctor's accomplishments in many cases. The young man is also a physicist like Sheldon, and tell's Dr. Cooper that his pursuit of proving string theory is a pipe dream. Everybody is taken by the young man, and now Sheldon is only second fiddle. To keep himself busy with new projects, and to prove his relevance, Sheldon decides he must tackle one of the greatest problems in the history of humankind. . . The Middle East. In the episode Sheldon decides that the way to solve the Middle East problem is to get Israel out of there, and so he devises a plan to build a new Jerusalem and a new Wailing Wall in the deserts of Mexico. The replica will be exactly the same, he explains, so the only difference will be location. When he proposes this idea to a couple Jews, however, they give him the roughest looks, because as the show reveals, Israel can't simply move. The location of Israel is ancestral. The show, however, misses the whole point of reality, as is the usual case with the liberal left. Israel is not the problem in the Middle East, Islam is. And if anyone thinks that simply moving the Jews out of the Middle East would solve the violence being perpetrated by Muslims, they are more ignorant than first imagined. Islam's goal is to destroy all Jews, to kill them all, wherever they may be, and then destroy Christianity, and then destroy anything else that is not Muslim. Location has nothing to do with it with them. If, hypothetically, Israel was to move to Mexico, the Muslims would settle around that settlement, begin bombing the Jews, and then claim that it was their land and the Jews stole it. That is what Islam does. That is the reality. Antisemitism takes many forms. We only see it as the genocidal maniacal ravings of Nazism, the speeches of Israel's destruction by Ahmadinejad of Iran, or the blood thirsty rants of White Supremacists. But, though not "yet" violent, the suggestions and actions towards Israel, by the liberal democrats, are indeed antisemitic as well. Why else would Obama treat Israel the way he has, while sympathizing with the violent hoards of Islam? Why else would the democrats support an Arab Spring that is in reality a move to uniting the Muslim nations under a single banner of radical Islam with the Muslim Brotherhood, and like groups, at the head? Why else would the White House celebrate Muslim holidays like Ramadan, while making a fuss about the National Day of Prayer? The ideology of Islam is the problem in the Middle East, and wants to be the thorn in our side worldwide, and the liberal democrats are enabling the madness. Islam and Liberalism are actually dead opposite. While liberalism pushes for homosexuality to be accepted as a norm in the mainstream, Islam is hanging gays by their necks from the highest trees. While liberalism pushes for women's rights, and even superiority over men, through fanatical organizations like NOW, Islam oppresses women keeping them in a role lower than servants. While liberals cry out for a secular society and what they consider to be the true separation of church and state, Islam's goal is to make their church and state one and the same, for the religious leaders to be the political leaders, and for all laws of all nations to be replaced by their religious law of Sharia. In fact, Islam and Liberalism only have one thing in common, and that one commonality is their sole reason for supporting each other - they have a common enemy. Both hate beyond explanation all things Christian, including any support of Israel, individualism, liberty, American conservatism, and so forth. Oh, by the way, since Sheldon's madness over the young newcomer is driving everyone crazy, the other characters on the show determine the best way to return Sheldon to his original, less crazy, self, is to get rid of the young man that seems to be the cause of all the problems. However, rather than creating an identical home for him as Sheldon suggested for Israel, they introduce the young man to the opposite gender, which, as expected, destroys the boy, turning him into a mere mortal. For some reason my wife did not find that part of the show funny. It's no secret that Barack Obama hates Israel, and Jews, with a passion. That he had Palestians running campaign fundraising phone banks in the West Bank in 2008; that he's incessantly meddled in Israeli internal affairs, such as demanding that they stop building housing even in East Jerusalem, territory which has never been allocated to the Pals in any even suggested "peace plan"; that he demands the Jews retreat to the indefensible 1967 borders, after which Prime Minister Benjamin Netanyahu humiliatingly schooled him at a televised White House meeting; that he continues to defy Congress by subsidizing Muslim Brotherhood operations that now include ruling Egypt and funding Hamas. Former U.N. Ambassador John Bolton blasted the Obama administration Wednesday afternoon for putting “just merciless” behind-the-scenes pressure on the Israeli government in order to persuade Israeli leader Benjamin Netanyahu not to launch an attack on Iran. Bolton added that reported intelligence leaks by the administration could hurt Israel’s chances of successful knocking out Iran’s nuclear facilities. Bolton’s comments on Fox News followed revelations Wednesday that the Israeli government has made arrangements with the government of Azerbaijan to use its airbases, which it would presumably employ to help it attack Iran. nuclear infrastructure much more effective, military experts say. It would greatly reduce the flight time, and refueling requirements, for Israel’s F-16 and F-15 jets. Azerbaijan in order to defend itself. This, of course, makes trouble for the Azerbaijanis as well, who will doubtless get some tender, loving care from Hezbollah at the very least in the very near future. But to Red Barry, they're just collateral damage to something that HAD to be done. To be fair, though, there is another factor in play here other than The One's raging, Uncle Jeremiah-inculcated anti-Semitism, of course. Consider: He obviously wants the Iranian mullagarchy to gain nuclear weapons capability (as a check on future Republican administrations' "warmongering," should he fail in his "wrenchingly transformative" mission, among other things) - but he'd prefer it not "go public," as it were, until AFTER he's safely re-elected. In reality he can't count on the mullahs honoring his timeline like he thinks the Russians will, but in his mind he thinks he can talk anybody into anything if he bows and grovels and concedes enough. However, if the Israelis act for the preservation of their country, it HAS to be sooner rather than later, and that WILL drag us into the fray, as Tehran WON'T distinguish between "Big Satan" and "Little Satan" (because we all look the same to them). So the choice for His Infernal Majesty is between Iran maybe officially crossing the nuclear threshold before November, and Israel pre-empting them and definitely stirring up a regional conflict that we couldn't help but be drawn into. It'd royally piss off his lunatic fringe base, but it would rally the country 'round the flag, even if it does have his ugly mug on it. Heck, it would give him cover on, yet vastly stimulate, the skyrocketing energy prices he's always wanted. Bill Clinton probably would have wagged that dog. But not an orthodox, anti-Semitic, America-hating pacifist like False Messiah. It's probably the only thing keeping him from ordering the bombing of Haifa and Tel Aviv himself. The thought of peace is a wonderful thing. . . but the reality is there will always be tyrants, and those who wish to wage war against freedom loving peoples. Peace is achieved through strength. I receive emails from the democrats, and the Obama Campaign. After all, how can you argue against the Left if you don't know what they are saying? Ahhh, isn't that nice? He's doing it for me. It's like he has been elevated, or something. I don't know. It's just the tone they use that tells us that the government, and Obama, is there to do for us. In my opinion, I just want them the heck out of my life. Their ideas are authoritarian. They won't tell you, but they are hand in hand with the dictators and communists of the past. Saying that, I will be called a hater, and racist, and anything else the Leftists can muster, but the truth is the truth. Think about it. With Obamacare, considering the "he who holds the gold holds the power" mantra, by paying for your health care they will be able to tell you what to eat, what activities you can engage in. . . in other words, Obamacare opens the door to complete authoritarian control over the populace. The liberal left thinks that nothing gets done unless the government does it. Big government is the answer for everything, according to these people. The Founding Fathers had a name for such thinking. They called it, "Tyranny." These authoritarian liberals have done more to destroy the foundations of this nation during Obama's presidency than in any time in history. America is under assault, and they have convinced a large portion of the populace to be accomplices. They are trying to secure the power of government, and silence all who oppose them. That is the reason for the attacks against talk radio, and the rise of class warfare in this country. Obama has nothing good to run on for reelection, yet people seriously think he has a chance to win. Obama even went so far as to tell Medvedev that after his election he'll deal with missile defense (as if the election is simply a formality). The man is dismantling the nation as founded, yet it may seriously be a battle to get him out of the White House. We have lost two million jobs since Obama has taken office, he has driven up the national debt more than any President in history, and Barry has been pushing green technologies without any consideration of the market forces and that the technologies have proven to be worthless and unproductive. He has told us how much he hates oil, and then he made it clear he was a strong opponent of the Keystone Pipeline, yet he then said he was going to make sure a part of that pipeline in Oklahoma would be built and tried to take credit for it, even though the pipeline there was inevitable regardless of Obama's thoughts on it. Meanwhile, this President, from the Connecticut cop's collision with a black professor, to Trayvon Martin, has done all he can to create a racial divide. The New Black Panthers have actually placed a bounty on George Zimmerman, and has Obama said anything against it? Of course not. He wants a race war. I guarantee if some idiot white supremacist had put out some bounty on a black man, Obama would have been all over it. I thought we were all Americans? What in the heck is going on with all of this garbage about race? Reverend Jessie Jackson has even gone so far as to say that the Zimmerman/Martin situation was evidence that there is a war being waged against blacks! Spike Lee, with his tweet of what he thought was Zimmerman's address, was calling for a violent mob to go get the man who shot Trayvon Martin. Bounties, and mobs! In America! Where's the anger? Where's the concern we heard regarding civility back when Giffords was shot? And now Michelle Obama is sending me emails telling me about all that Obama has done for us, as if we should be thanking him? She wants us to finish what he started? What are we supposed to finish? The destruction of freedom in America? After Giffords, the liberals told us to stop the incendiary language, and "let's just all get along." Have they condemned the Obama supporter that threatened Joe Arpaio's life? Have they condemned the New Black Panther Party for putting out a bounty calling for the kidnapping of an American citizen? Have they condemned Spike Lee for tweeting the wrong address and sending an older couple into hiding? But Michelle wants me to thank Obama for all he's done. Thank him for the loss of jobs, the rising national debt, the government take over of segments of the private sector, them trying to tell us what to eat, the authoritarian health care law, the riots and rapes and arson caused by Occupy Wall Street, the blocking of Arizona's right to enforce immigration laws, the blocking of voter ID laws, the devalue of the dollar through the printing of more fiat money, the threats to silence Fox News and Rush Limbaugh because they dare oppose the President, the continuous mocking of Christianity while the leftists bend over backwards for Islam which has indicated that they desire the destruction of America, the destruction of small businesses, unconstitutional laws and executive orders, the assault on individualism and freedom, and the attempt to move this nation into a more international order of things. Any complaints from the media about the madness? Article II, Section 2 takes front and center in tonight's Constitution Class in Temecula, California at 6:00 pm at Faith Armory (Enterprise Cir. W. next to Birth Choice). Before taking up their own budget plan for next year, House Republicans pushed a version of President Obama’s $3.6 trillion budget to the floor for a vote, and it was it was unanimously defeated, 414-0. GOP lawmakers forced the vote on Obama’s plan as a tactical move aiming at embarrassing Democrats. The Democrats have defended Obama’s budget priorities, but they largely voted “no” Wednesday night. Republicans said Democrats were afraid to vote for Obama’s proposed tax increases and extra spending for energy and welfare. Democrats said Republicans had forced a vote on a version of Obama’s budget that contained only its numbers, not the policies he would use to achieve them. I'd wager the White House didn't even notice. And why would they? Both last year's and this year's budget Regime submissions were political, not fiscal, documents, designed for no other purpose than to gin up enthusiasm in the Li'l President's tepid lunatic fringe base in advance of a highly difficult re-election bid by pandering to the nutters' unquenchable lust for Donk-empowering economic calamity and national collapse (aka "going Greek") with trillion-dollar annual deficits as far as the eye can see. It's the other side of the same reason coin from why Dirty Harry Reid's Senate Democrat majority hasn't produced a budget of its own in three years; last cycle, this one, and 2014, Dems had/have/will have many more seats at risk than the GOP (a product of big Donk gains in 2006 and 2008) in swing and "red" states, and accordingly public votes in favor of Red Barry's risible mega-debt storms are not ones vulnerable Democrat senators want to make. And if forced to, they'll vote no (like last year's 97-0 skunking) while voting yes in their black, sinister hearts. Just like House Dems did last night. Ultimately this is all about marking time until the November election. Dem control of the Senate is not long for this world in any case, but if B.O. does get his second term, let's just say it will be very interesting to see what kind of budget he submits to a unified Republican Congress a year from now - if he submits one at all. UPDATE: Ryan does Debbie - resoundingly:.